Did you hear about the VP who wanted Agility but got Scrum instead? Developing Agility is a transformational process, which requires a gradual and deep change on multiple fronts. However, the IT industry has (for good sales and contracting reasons) presented to clients an Agile ability that is ‘on tap’ – this fundamentally means that the Agile delivered must depend on a shallow rather than a deep change. The multi-month effort presented will show the changes from a culture of Nominal Agile to an Effective Agile culture. 15 mins to lay out the current state of Nominal Agile, and the issues therein. 15 mins to present the 3 step process we used, and the basis for Transformation. 15 minutes to present the case study with examples of each step in the process, and the outcomes achieved. The participants will get an appreciation of the issues of Agile delivered 'on-tap' and how this approach precludes true transformation. From the session, we also share an effective, practical and common-sense (meaning clients with no Agile background will appreciate and agree) approach to delivering Agile outcomes to clients. 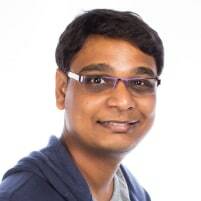 Avinash is a SAFe SPC and a thought leader with deep expertise in scaling Agile in the enterprise. Avinash is a frequent speaker who has spoken at dozens of events and conferences in India, UK and Singapore.